Here at Hatfield Subaru, we enjoy taking the time out to help our customers to properly maintain their vehicles. While there are many areas that need attention on most vehicles, one common area that often gets little attention is the issue of road salt. This substance is fairly ubiquitous on the roads of communities that are located in cold climates. While this product can be invaluable in terms of safety, it can also be a source of considerable vehicular damage. Road salt tends to accumulate in icy or snowy conditions, and from there it can easily lodge in vehicular undercarriages. If it is removed quickly, it will have little time to do any real damage. If, however, it is allowed to accumulate and stay in place, it can and does cause damages that can include corrosion. 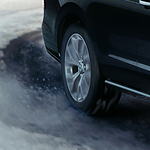 Thankfully, vehicle owners who take a few basic precautions can keep road salt damage at bay. Vehicle operators who operate their cars in snowy or icy conditions should always take care to give their vehicles thorough cleanings at least once every week. These cleanings should include thorough washings of the upper part of the vehicles as well as careful spraying of the undercarriage. In addition, if winter temperatures climb above 40° and ice melt begins to occur, drivers should take care to clean their cars after such events.